Intrigued, I asked Elijah what he meant. “Do you have a bully in your class,” I asked him. So the bully was a girl. Hmmm. Through a series of other questions, I learned about one little girl in his class who said mean (for a kindergartener) things to the other kids in the class. Apparently she had also gotten into trouble in class a lot and had even used a few bad words. At that point, I could have told Elijah how unkind that was or how mean she was, but I didn’t. I didn’t need to give Elijah more reason to feel hurt. Instead I felt it was important for Elijah to look at the situation a little differently. Then I talked to him about how oftentimes, people who are unkind to others act that way because they aren’t happy themselves. When he seemed a little confused, I gave him an example. “I’m not very nice sometimes,” he admitted. So he seemed to understand. We talked about how he could be kind to this girl, even if she was being mean, and how he could help his friends if she was mean to them. The last thing we did was pray for her, that she would learn to “be good” (his words) and that Elijah would be able to be nice to her. When Elijah is older, I don’t know how much he’ll remember about the specifics of this school year. 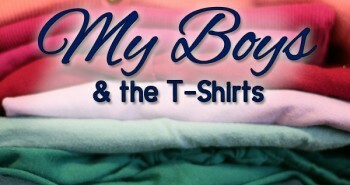 I personally remember several moments from my kindergarten experience while my hubby doesn’t remember any of his. If I tell him about a little girl who said that she didn’t like him, he’ll probably laugh it off, similarly to how my oldest nephew and I laugh at how, when he was three, he thought that calling me a “hunting deer” was a big insult. 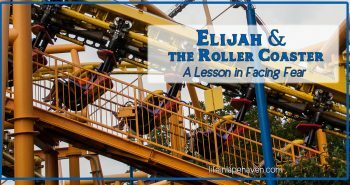 However, whether Elijah remembers the incident or not, I’m hopeful that the habit of praying for those who are unkind to you and trying to understand and have compassion for them is something that sticks with him, something that becomes the automatic and the normal. It usually isn’t the thing we want to do, whether we are 5 or 85. It usually isn’t easy. But it’s the right thing, the Godly thing to do. 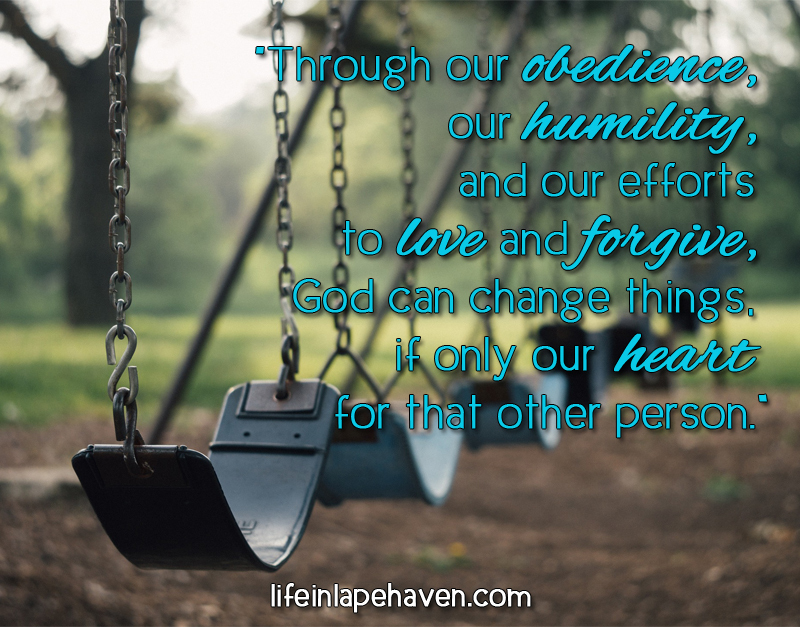 Because through our obedience, our humility, and our efforts to love and forgive, God can change things, if only our heart for that other person. Sometimes, though, he also changes the other person. 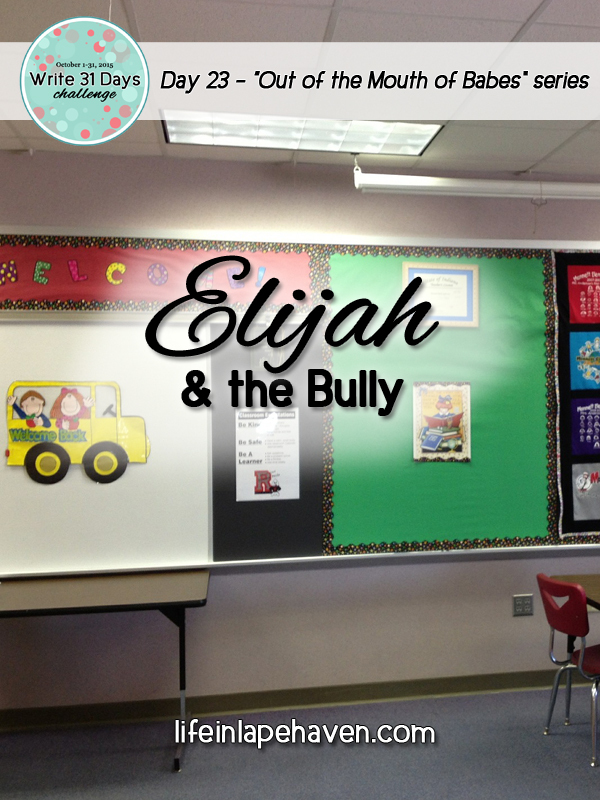 About a week or two after the initial incident with “the bully,” Elijah got into the car happily and ready to share about his day. The first thing he told me was that this girl had done really well in class that day, “clipping up to purple,” which means she behaved so well that she was at the top of their classroom’s behavior monitoring chart and had earned a prize for the day. Yes, my mommy heart melted. He was encouraging her to be good and letting her know that he had noticed. I asked him how she responded to that, and he grinned at me. I know that this little girl still has times of being mean or misbehaving in class because Elijah keeps me filled in on her progress, but he’s still watching out for her. We pray for her every so often, and his heart is kind toward her. He’s cheering her on, wanting good for her. Whether or not this girl ever likes Elijah, she’ll definitely know that he cares about her. This is part of my Write 31 Days series, “Out of the Mouth of Babes: 31 Quotes from My Children.” I’m posting every day in October, so if you’ve missed one and need to catch up, or if you really enjoyed a particular quote, you can find the entire series on my Write 31 Days page. 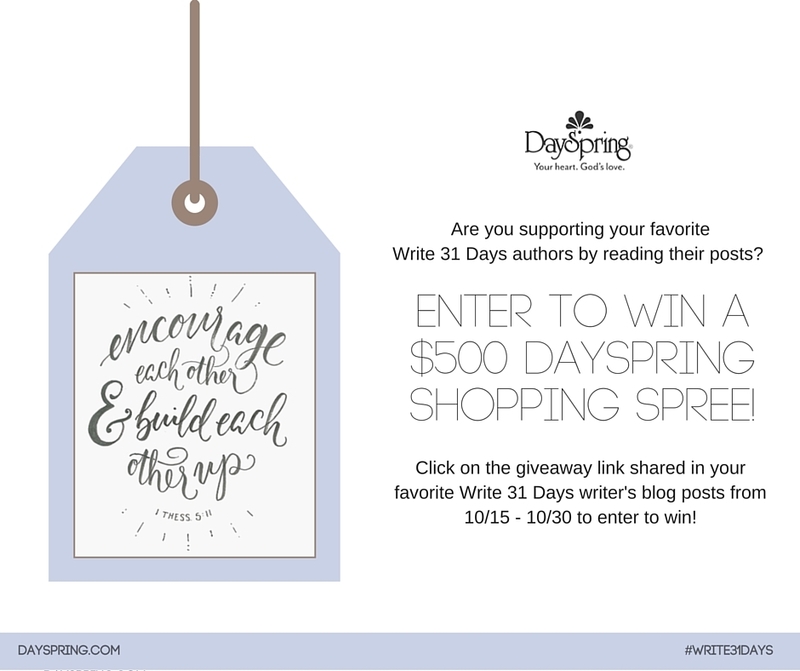 Another fun part of the Write 31 Days is that you can enter to win a $500 Shopping Spree from DaySpring.com!